One of our highly skilled technicians will soon arrive to get everything back up and running as soon as possible. Should your equipment be beyond repair, our installation manager can develop an estimate with you during that visit so you can begin the replacement and installation process. In fact, we can even help you start looking into financing. 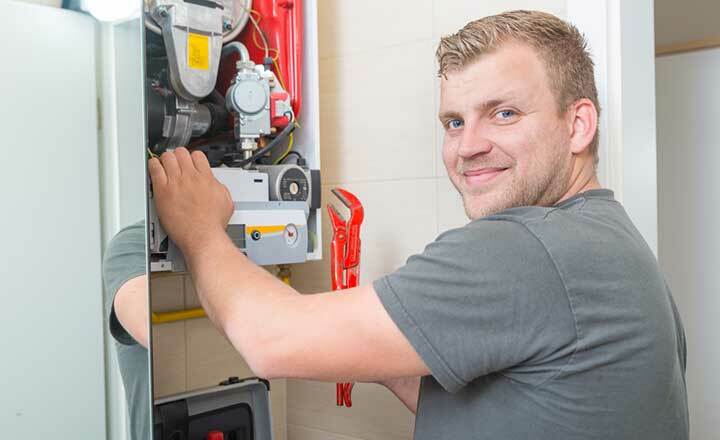 Maintenance, however, is the number one way to extend the life of your home’s expensive heating systems. It also can save you up to 10% on your heating bills. Avoidable equipment breakdowns simply add to your day’s stress level, and can even be dangerous in extreme weather conditions—particularly for pets, young children and elderly family members. And industry records show that four out of five equipment failures could have been prevented with regular maintenance. Given the above, why not schedule a leisurely, low-pressure visit with our equipment experts, who will test, assess, clean and lubricate the parts of your heater, boiler and more—even including your outdoor aboveground oil tank. They are trained to maintain and fix all major brands, including those we do not sell ourselves. This approach is so much more preferable to everyone, and will help ensure that your equipment will operate when you need it most. It also helps you receive fair warning that something may be aging beyond repair and ought to be replaced soon—before it needs to respond to the demands of an upcoming season and with time for you to plan your payment strategy more calmly. Yes, you can call us in an emergency. But why not avoid it if you can? Sign up today for one of our Jennings Oil & Propane worry-free service plans. A tune-up is included—just call us to request an appointment that’s convenient for you. During the off-season, if our records show you are due for a tune-up, we will contact you by mail to remind you to get this important maintenance work done. And should you still need an emergency repair, your service plan qualifies you for a priority response and valuable repair savings. Take our advice: You will rest more comfortably when you protect your equipment with one of our affordable service plans today. Contact us to learn more about Jennings Oil & Propane heating equipment maintenance and repair services. Serving Danbury, New Milford, Southbury, Newtown, Ridgefield, Kent and surrounding towns in Fairfield, Litchfield and New Haven counties in CT.